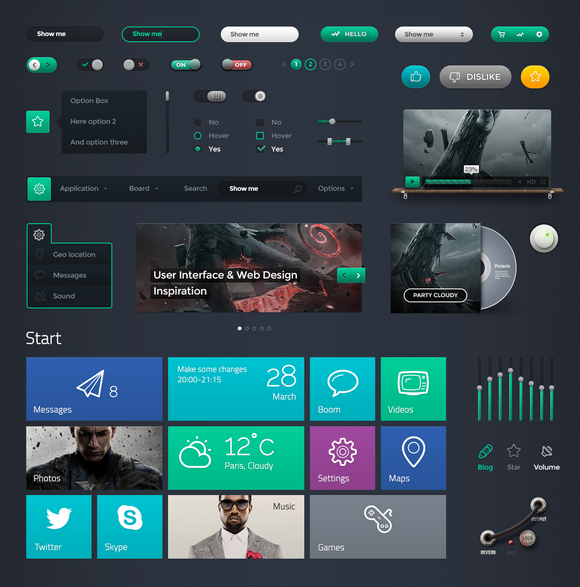 Smashing Magazine has released the Polaris UI Pack, which is a set of beautiful UI components. It includes Edit Boxes, Check Boxes, Radio Buttons, Page Navigation, Menu, Buttons, etc. You can use this set in any of your projects, and even learn with it, by examining each component to see how it is put together. Components are made in Adobe Photoshop using Shape Layers (vector elements). Therefore, you can increase or decrease the size of each element without any loss of image quality. In addition, the set contains 48 fully scalable vector icons with outline styles.